“The Internet is a petri dish for the growth and spread of misinformation” warns Anne Mintz. People search the Internet for health advice, to refute what they get told at school, to find out what’s “trending,” and to seek out support for their particular point of view. In other words people will use the Internet as a source of evidence. Here’s how. 2. You can use Internet search to gather “primary” evidence. 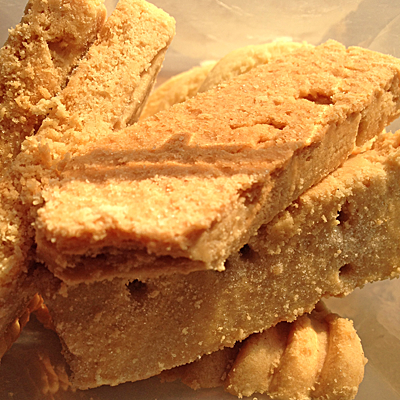 If you google “health benefits of shortbread” you get nothing of consequence. 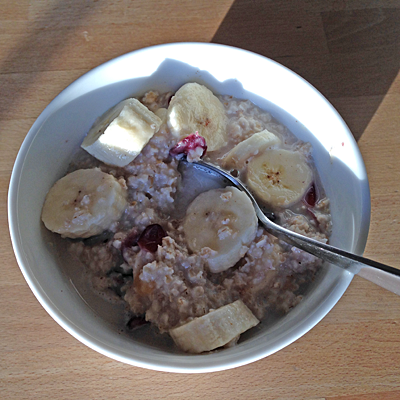 “Health benefits of porridge” returns over 1,000 results. We could take a punt and guess that Internet evidence supports the view that porridge is healthier than shortbread. 3. I might add weight to the evidence by reading what people say about each, assess the authority of the sources, and call on my own knowledge and inferences. If the Internet evidence appears weak, then at least it provides strong support for the view that people who post on line have more to say about the health benefits of porridge than shortbread. 4. We can also use web metrics as evidence: hit counts, likes, followers, star ratings, citation counts, numbers of search results returned. I’m not patient enough to compare the number of likes of Facebook pages dedicated to porridge as opposed to shortbread. It’s easier with films. You can find evidence in support of the quality of a particular film on aggregator sites such as Rotten Tomatoes. 4. You can also draw on accurate and verifiable open data sets online, including census data, and results from surveys, etc. You can also gather your own data through online surveys. 5. People with the right know-how can mine the web and social media using sophisticated search algorithms, semantic recognition, machine learning techniques, etc. Presumably that’s part of what the army’s new Joint Cyber Reserve Unit will do, looking for evidence of online threats to national security. What’s logical about online evidence? The Internet brings evidence and its characteristics into sharp relief. So does logic. Logic is a formal language for making assertions and by which inferences can be drawn, and in a manner that is reproducible. That is, anyone else could reach the same conclusions by the same process. If I assert that all swans are white, and that the object hidden in the cupboard under my desk is a swan, then it follows by logical deduction that the object must be white. No amount of observation would invalidate the deduction. Of course, the initial assertions can be refuted by simple observation. Logic admits another kind of inference that is less certain. That’s induction, the derivation of a general rule, such as all swans are white, from a large number of observations of swans swimming around in lakes. Abduction is much more interesting. That’s the process by which you might derive that a creature hidden under my desk is a swan from knowing that there’s something down there that’s white. Considering all the white objects in the world you would want to gather other evidence (shape, sounds, size). Without other strong evidence the odds that it’s a swan would be pretty slim. Abductive reasoning is also known as plausible inference and involves the gathering of a range of evidence from different sources. Computer programs that attempt to automate this process calculate probabilities. The distinction between deduction, induction and abduction was articulated by the Pragmatic philosopher Charles Sanders Peirce (1839-1914). As a source of evidence the Internet is not so different to the world at large. The Internet is an aspect of society after all: varied, contradictory, misinformed and dependent on the processes of interpretation. It’s well known that people are pretty lax in their use of formal logic, and there’s a cultural dimension to it. Neuropsychologist Alexander Luria put the following propositions to a Uzbek peasant, and received an answer. Assertion 1: In the Far North, where there is snow, all bears are white. Assertion 2: Novaya Zemlya is in the Far North. Question: What color are the bears there? Answer: I don’t know what color the bears there are, I never saw them. According to cognitive scientist Roger Schank, “Humans are not ideally set up to understand logic; they are ideally set up to understand stories.” This quote is floating around the Internet, but I don’t know where he says it. In fact, formal logic is pretty lax in representing human cognition. Also see Accentuate the negative about confirmation bias, What has science got to do with it on scientism, and posts tagged interpretation. Luria, A. R. Cognitive development, its cultural and social foundations. Cambridge, MA: Harvard University Press, 1976. Truly, people are likely to use the Internet as evidence in daily life topic since large number of citizens get online – if lots of them agree with an argument then this probably is right. In this case, it’s an easy and time-effective way to collect initial evidence for your inference. However, when it comes to formal writing or professional research, Internet could only act as an initial stage to gather netizens’ opinions and to form your own guess, rather than so-called ‘evidence’. High hit-counts, likes, follows or popularity does not equal to truth. From my point of view, the best practice of using the Internet as evidence is the approach of data mining to analyze netizens’ browsing behavior. Data speaks louder than stories. From this perspective, Internet could be regards as evidence. As for online survey or census, it is no doubt a cost- and time- effective way but it limits its audience – only people those get online at that particular time period and happens to browse that webpage. Therefore, it is a good source of evidence, but with conditions. Another cultural dimension to the fact that people is lax in their use of formal logic – Cult of Personality or Worship of Authority. When Cult of Personality enjoyed its popularity in some Asian countries decades ago, public believed what their ‘leaders’ told despite of science knowledge, let alone logic. Nowadays, some still so fond of being as ‘followers’, so they turn to Worship of Authority. As long as the assertions are from so-called ‘experts’, they dare not doubt it. Thanks to the advent of Internet, people could gather varies aspects of evidence, so they began to think critically and to love the idea to challenge authority. In this sense, though false information spread around the Internet, it also provides a good platform for us to practice critical thinking. Thanks Meizhen Chen. I like the idea of the Internet as a platform to practice critical thinking. On the surface the internet has made limitless amounts of information and services available to us at the touch of a button. I feel the problem is, it has also made us lazy. It is far too easy now for us to look up and read something on the internet and take it as the truth. It has also pushed the need for facts aside in favour of being the first to know or make breaking news. I also think that we take false confidence in online information which in some circumstances can result in embarrassment especially when it comes to using internet evidence in academic writing. We can never know how accurate information we read online is, for example Wikipedia. Search any subject through google and you are most definitely going to find a wiki site for it. The problem of course with Wikipedia is that it has been developed so that users can directly share and update information on almost any subject. I for one never believe what I read unless there is solid evidence, but still, why would they lie to you?